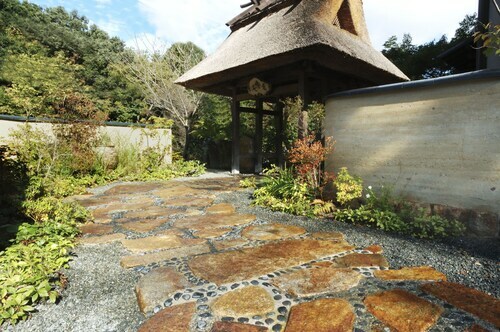 Situated in Kameoka, this spa ryokan is 2.7 mi (4.3 km) from Kameoka Sports Ground and 2.8 mi (4.6 km) from Kaya No Sato Country. Anaoji Temple and Kameyama Castle Ruins are also within 6 mi (10 km). 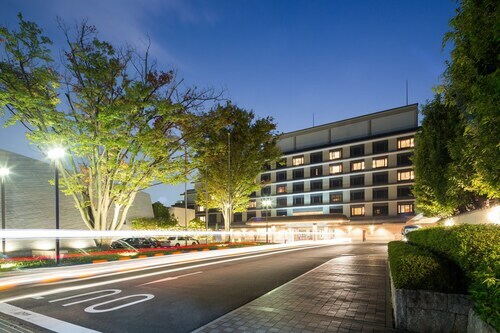 Situated in Kameoka, this spa hotel is within 3 mi (5 km) of Kameoka Sports Ground, Anaoji Temple, and Kaya No Sato Country. Kameyama Castle Ruins and Hosenji Temple are also within 9 mi (15 km). Are you looking for a break from the hustle and bustle of your day-to-day life? Do you want to escape reality and forget about your never ending to-do list? 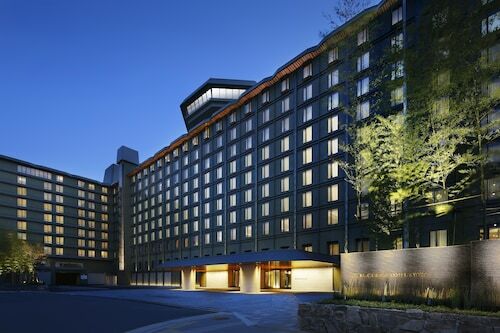 Then why not treat yourself to a relaxing stay at one of the spa hotels in Yunohana? Whether it is for a weekend getaway or a staycation, book your visit to one of the Yunohana luxury spa hotels. With all of the amazing things to do around Yunohana, you will likely be worn out from sightseeing. 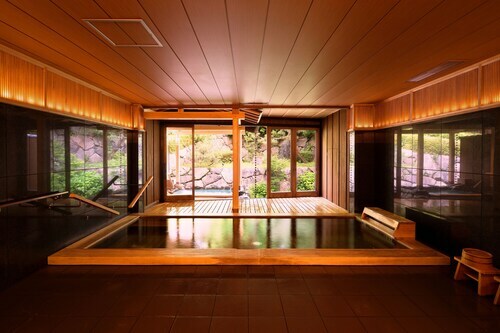 The Yunohana spa hotels provide top of the line facilities with hot-tubs, saunas and private treatment rooms. Treat yourself to an indulgent hot stone massage or facial to rejuvenate from a busy day. If that's not enough for you, indulge in a full day-at-the-spa package. And maybe you are just looking to reach maximum relaxation before a fancy night out on the town. Take advantage of the salon features offered at most Yunohana spa hotels and get a mani-pedi before your evening begins. Travelocity wants to help you relax and rejuvenate during your next stay in Yunohana, but we know that spa treatments can put some strain on your wallet. Bundle your hotel and flight together and save enough to pay for your facial! Whole family was able to stay in spacious one room. Everything was excellent.From staff,hotel facilities,amenities and location.Definately would stay there again.Bravo! 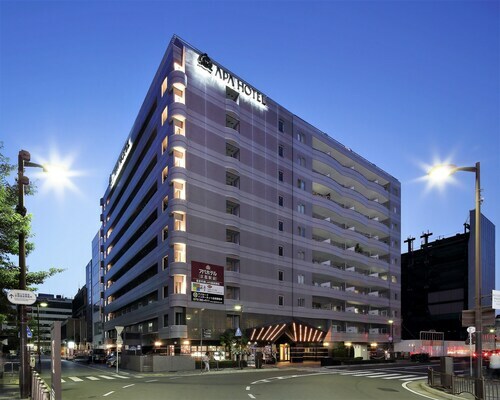 Perfectly placed in Gion with ready access to temples, shopping and entertainment. The staff helped us forward luggage, laundry, and much more. They were friendly and easy to talk to. Would recommend this hotel to other travelers. great hotel. 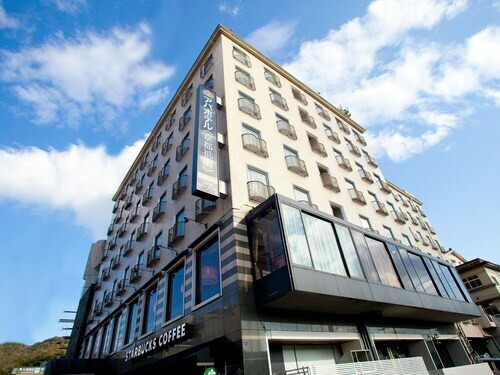 great location (close to Kyoto station). room was nice and as expected. 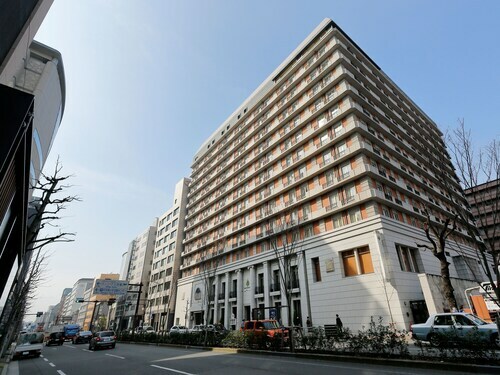 This was a very nice, upscale hotel close to the Kyoto Train station. Shuttle service to/from the station (west side). The room was large and clean, the Nespresso machine was a plus. You can buy the breakfast buffet as part of the package and it's reasonably priced. The location is away from some of the more touristy areas, but all the major tours pickup/drop off here. What an excellent place. We booked a King Size bed and got the biggest bed I've ever seen. Much larger than my king at home. Room was nice, clean, excellent air conditioner and roomy compared to others we stayed at while in Japan. I wish I had booked their hotel in Tokyo while there. Staff was overly friendly and outgoing. Subway was a block away and plenty of stores to grab a late nite bite or early breakfast. One mistake we made was not getting the house breakfast. We went down and it was close to $60 without the package. Don't go the cheap route, just get it. Well worth it. This hotel is under rated.